Unlock your child’s potential… Call Today! you need a different approach. Research shows that most students will continue to struggle with reading difficulties until these two elements are used for intervention. Students with poor phonemic awareness show easily detectable symptoms. For example, they struggle with the sequence of sounds in words. They have trouble sounding out new words and often resort to guessing. They may also add, omit, and reverse sounds when reading. Of children who display reading problems in the first grade, 74% will be poor readers in the ninth grade and into adulthood unless they receive informed and explicit instruction on phonemic awareness. Children do not mature out of their reading difficulties. Many schools still do not teach phonemic awareness. Phonemic awareness must exist or be explicitly taught before phonics instruction begins. Otherwise, phonics will not make sense to most children with reading difficulties. Research shows that most students will continue to struggle with reading, spelling and comprehension until a multi-sensory method is used for intervention. Children with reading and spelling difficulties learn best by using several senses. We teach students using the speech therapy based Lindamood-Bell® LIPS method. Delivered with efficacy, the LIPS method retrains the dyslexic brain to process letters and sounds in a new way. LIPS maps out a new neural network not naturally used for reading processing. It’s kind of a two heads are better than one approach to reading. Our strong, multi-sensory learning method improves students reading skills when many other methods will not. * Lindamood-Bell ®. Lindamood-Bell ® is a registerd trademark of Lindamood-Bell Learning Process of San Luis Obispo, CA. 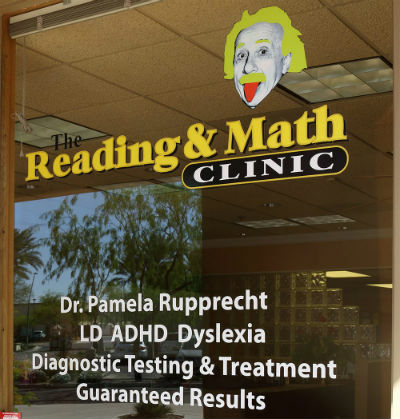 The Reading Clinic is not affilliated with or sponsored, accredited, certified or endorsed by Lindamood-Bell Learning Process. Screening takes approximately 20 minutes.